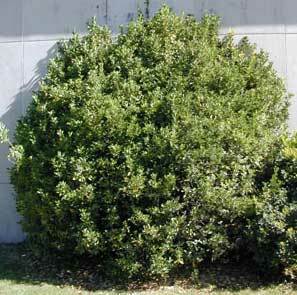 This is a very dense, oval shrub when growing in full sun and more open in shade. It grows 10 to 15 feet high and about half that in width. The leaves are opposite, evergreen, leathery and 1 to 3 inches long. The flowers are greenish white and inconspicuous. The species is very tolerant of heat but prone to cold damage. 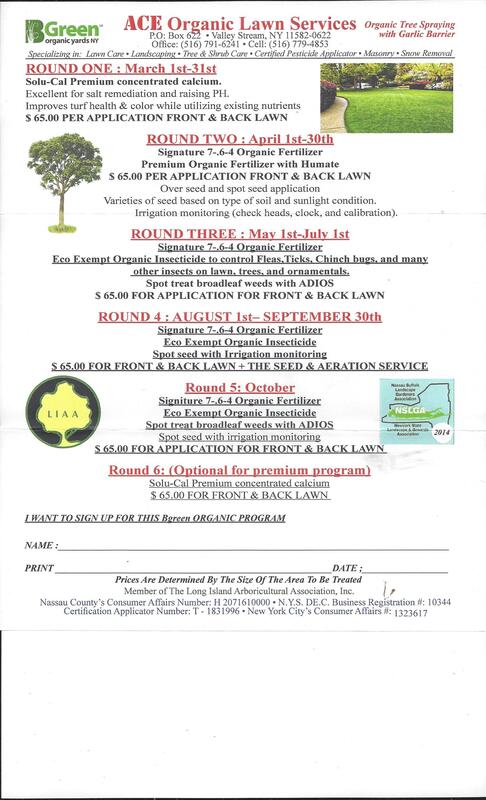 This shrub is one of the most durable landscape plants in the South and the West Coast. It has a round-topped, upright habit and grows well in poor soils. Able to resist drought, it even stands up to seaside winds and salt spray. The variegated varieties, such as `Aureo-marginata' are among the few such shrubs that keep their leaf color in full sun. Size: Typically, after 5 years evergreen euonymus grows to 5 feet high and spreads to five feet wide. After 10 years, it will reach 8 feet tall by 8 feet wide. Foliage: Evergreen euonymus leaves are a rich dark green, with glossy upper surfaces and dull undersides. They're 2-1/2-inches long, with slightly toothed margins, oval or rounded in shape. Leaves of variegated varieties show areas of golden yellow or silver. Like the fruits, the foliage is toxic. Flowers and Fruit: Evergreen euonymus bears clusters of inconspicuous greenish-yellow flowers in late spring. Its fruits are small orange seeds held in grayish capsules that hang by short stalks. The fruits aren't numerous enough to add much landscape interest and are reputed to be toxic. Evergreen Euonymus Choices `Aureo-marginata': Leaves have golden-yellow margins. 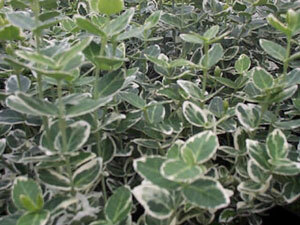 Height to 15 feet; `Aureo-variegata': Leaves splotched with yellow. Height to 10 feet; `Microphylla': Dwarf form. Leaves are 1/2 to 1 inch long. Height to 15 inches. Resembles boxwood.